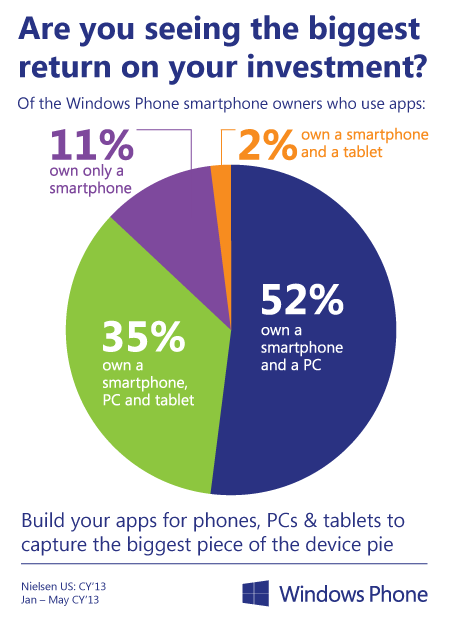 A well-designed and built Windows Phone 8 app can be a great start for building a Windows 8 app. Leverage the same programming language skills like C# and XAML, and powerful development tools, such as Visual Studio 2012, to accelerate your development, testing and publication time. By building apps for both platforms, you’ll increase your opportunity to reach more customers in over 190 markets. We’re making it easy for you to get started with this collection of our best guidance to take advantage of the shared core.